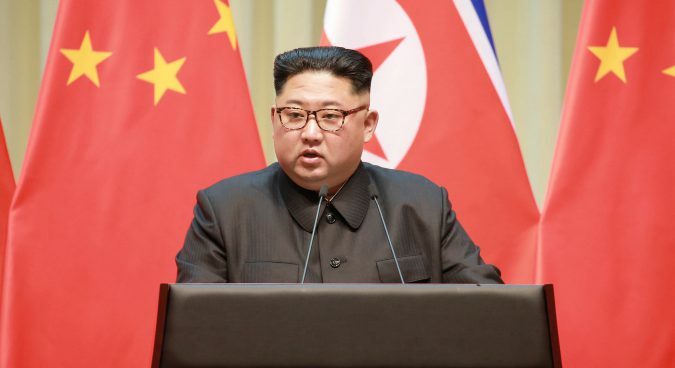 North Korean leader Kim Jong Un is set to visit China for a two-day trip from June 19-20, China’s Xinhua News Agency reported on Tuesday. The visit will be Kim’s third to China this year, following trips to Beijing and Dalian in March and May during which he met with Chinese President Xi Jinping. The DPRK leader’s March visit was his first abroad – and his first meeting with a foreign leader – since taking power in 2011, and saw Xi accept an invitation from Kim to visit North Korea. Tuesday’s Xinhua report did not specify whether Kim will meet with Xi during his visit, which comes a week after a landmark summit between the North Korean leader and U.S. President Donald Trump in Singapore. The timing of the announcement from Chinese state media is notable, too: previous visits by Kim to China have only been reported after the DPRK leader had left the country. A North Korean cargo plane typically used by high-ranking North Korean delegations earlier on Tuesday appeared at Beijing Capital International Airport. 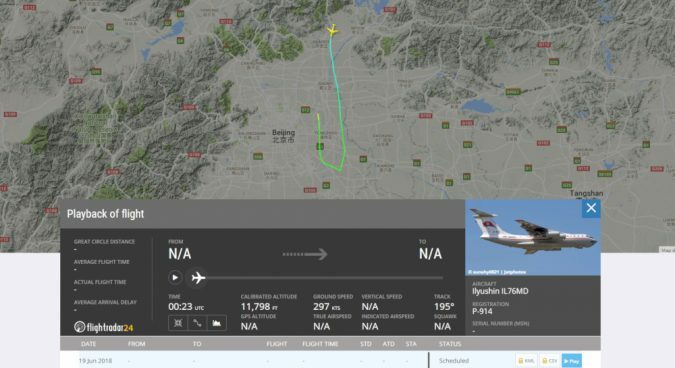 Air Koryo’s P-914 IL76 cargo jet can reportedly shift a maximum payload of 50 tons, with its presence in Beijing at the time suggesting a delegation may be en route to the Chinese capital. The P-914 IL76 cargo jet was previously used by the North Koreans in May, during a visit by Kim Jong Un to Dalian, China, and during last week’s DPRK-U.S. summit in Singapore. It was used to bring both a larger Mercedes-Benz S600 limousine and a smaller Maybach 62 limousine to Singapore last week. 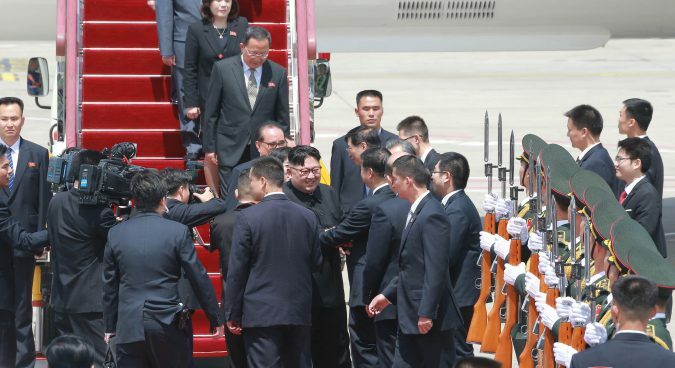 The Mercedes limo was taken to Beijing by train in March and used to carry Kim across the border with South Korea for the late April inter-Korean summit. 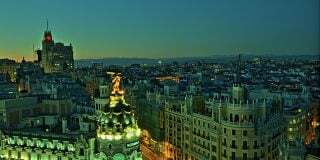 The North Korean leader is believed to have landed in the Chinese capital late Tuesday morning, with ABC News reporting that a convoy believed to be carrying Kim had been spotted in central Beijing. 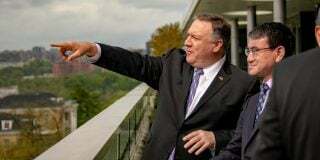 The DPRK leader’s Beijing visit also follows U.S. Secretary of State Mike Pompeo’s own trip to the Chinese capital last week, where he debriefed officials on the results of Tuesday’s DPRK-U.S. summit. Any meeting between Chinese and North Korean officials this week will likely see substantive discussions, too, on the outcomes of last week’s meeting, which saw Pyongyang reaffirm its commitment to the denuclearization of the Korean peninsula in return for security guarantees. 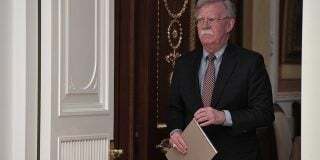 Both China and Russia have in the aftermath of that meeting called for international sanctions against North Korea to be loosened, though the U.S. has insisted that relief will only come when Pyongyang takes more substantive steps towards denuclearization. Sino-DPRK relations have significantly warmed this year amid broader diplomatic outreach by Pyongyang. 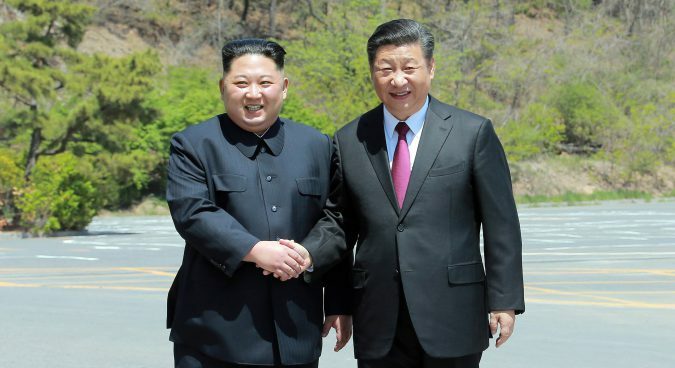 Two summits between Kim and Xi have seen the leaders reaffirm the countries’ long-standing ties, as well as agree to continue high-level meetings. Sunday’s edition of the ruling party organ the Rodong Sinmun, most recently, featured a front-page report that Kim Jong Un had letter and flower bouquet to the Chinese leader on the occasion of his birthday. One expert told NK News the North Korean leader needed to shore up support from the Chinese President following the summit. “He understands that Xi Jinping is the godfather in this region and he’s going to Beijing to pay his respects,” said Yanmei Xie, a Beijing-based China policy analyst at Gavekal Dragonomics. This week’s visit would likely see Beijing reward Kim for his recent diplomatic overtures, Xie continued. Another expert said Kim’s decision to visit China following his meeting with Trump did not come as a major surprise. “It was predictable that Xi would want to get a readout of the Trump-Kim summit from Kim Jong Un directly,” Bonnie Glaser, a senior adviser for Asia and the director of the China Power Project at CSIS, told NK News. Subscribe to read the remaining 960 words of this article.